With 20 Years of experience in caring for people, we are committed to your health, in the comfort of your home or retirement estate. Medwell SA focus on the principle of “Managed Home Nursing Care”, which ensures that the primary care of Medwell SA patients is continuous from Hospital/Rehab/Sub Acute to home. This guarantees that there is no interruption in the recovery process of the patient. Medwell SA works in conjunction with all relevant disciplines (GP’s, Specialists, Occupational Therapists, Physiotherapists, Social workers etc.) to form a multi-disciplinary team. Together we assess the medical history of the patient and provide relevant input to determine the Care Plan prescribed to our patients. Managed care at home provides services based on the specific needs of individuals in the comfort of their own home. It provides a cost-effective alternative for prolonged hospitalization or institutional care. A care plan tailored to the specific needs of the patient is adjusted to change it needs to prevent unnecessary services and reduces the cost as far as possible. The involvement and inclusion of natural caregivers and relatives, as well as community support systems, add to the cost-effectiveness of the services. The care manager in liaison with a multi-disciplinary team ensures a quality service that can be adjusted to specific needs of the individual tailor-made to their personal and medical needs. The care manager coordinates and manages the services in liaison with a registered nurse. 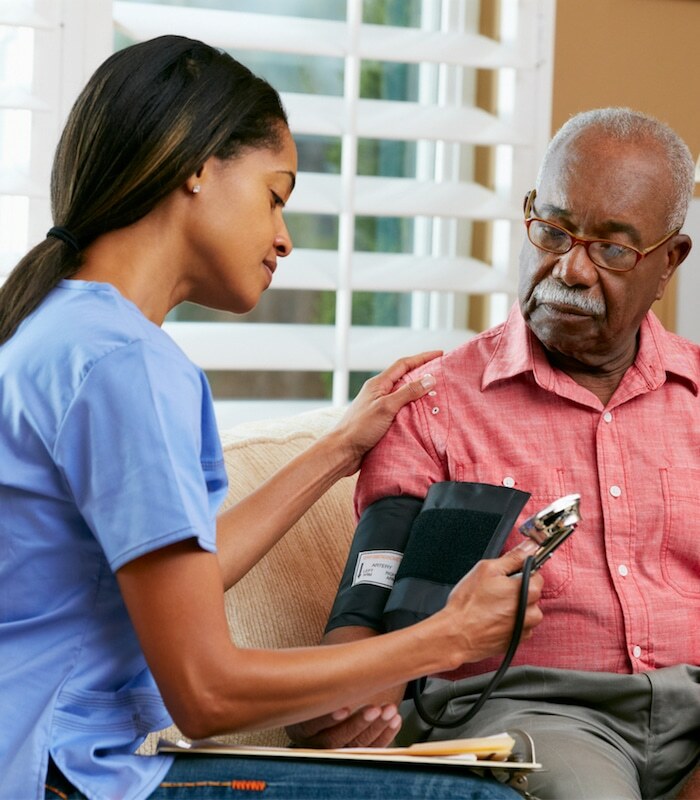 The registered nurse does a full assessment of the patient’s needs in a hospital or at home prior to the commencement of services to establish specific needs. A care team (care manager; registered nurse; personnel manager) identifies a trained and experienced caregiver according to the specified needs of the patient. Regular monitoring visits are carried out at home in accordance with the care plan to ensure high quality of service delivery. Services can be adjusted anytime according to personal circumstances and needs of the patient. Medwell will negotiate on behalf of the client with a medical aid for available benefits. 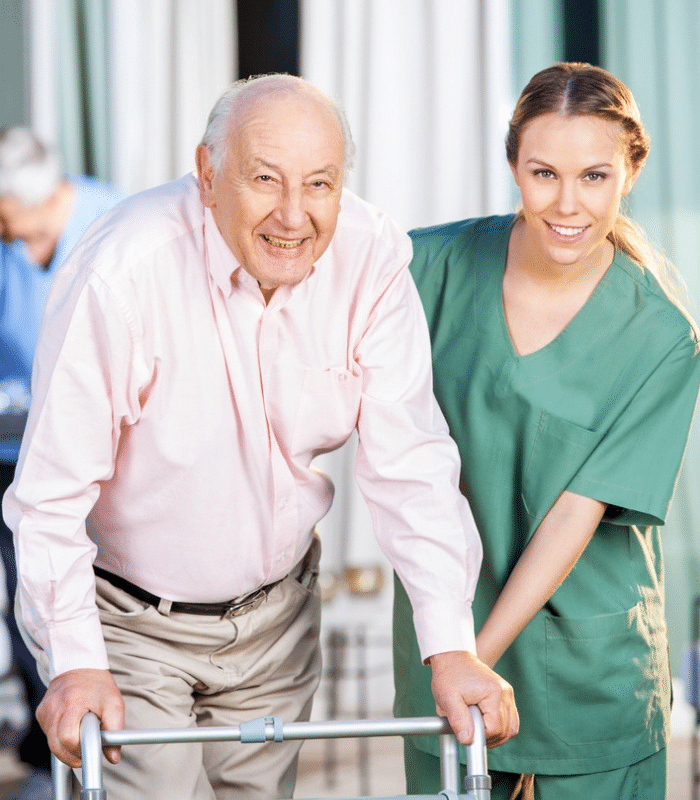 We provide around-the-clock nursing care for seniors. We also offer short-term rehabilitative visits following surgery, illness or injury which may require physical therapy. Patients are being discharged at a much earlier stage than in the past from acute and sub-acute hospitals. Medwell are now providing a variety of procedures at home. Our frail care services at the retirement estates provide a new lease on life with all of the amenities they have to offer. The estates offer a desirable lifestyle and safety features. 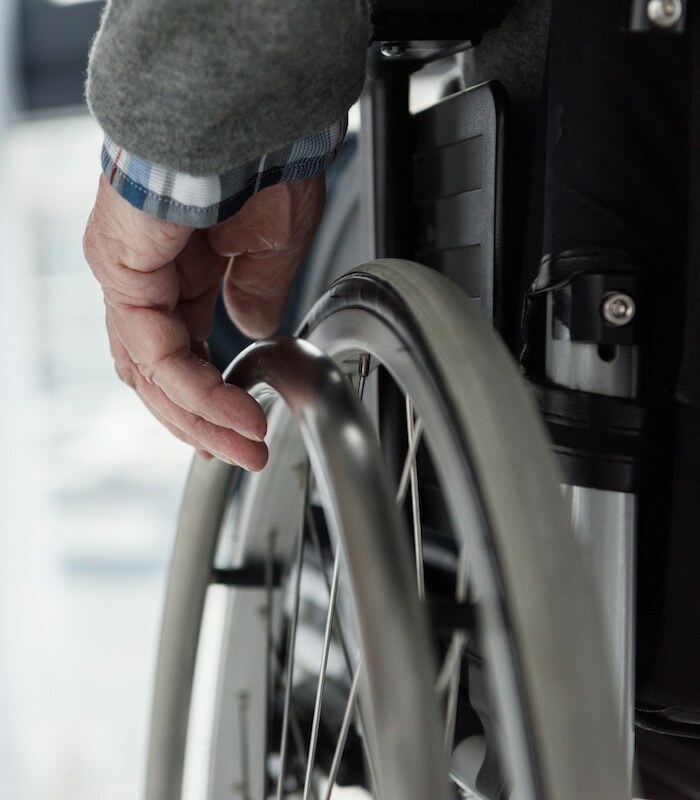 We distribute the best quality medical supplies (e.g wheelchairs, rehab equipment) and consumable products in order to improve the quality of life people need. Janet Strauss is a medical doctor who joined Medwell SA in July 2016. After her medical training at the University of Pretoria and community service at Tembisa Hospital, she joined Quintiles (2003 until 2008) a Global Contract Research Organisation initially as Medical Advisor and was later appointed as Medical Director. During this time, she also completed a Post Graduate course in Pharmaceutical Medicine at the University of Cardiff. She was involved in clinical research pertaining to Women’s Health, Trauma and Psychiatric conditions. In 2009 she became a safety reviewer at an Independent Research Board, Pharma Ethics, focusing on pharmacovigilance in clinical drug development. During this time, she completed her Master’s Degree in Pharmacology at the University of Pretoria. Gerhard Lombard Holds an Honours Degree in Town and Regional Planning (Bs and S) obtained at the University of Pretoria, South Africa in 1997. He commenced his career as junior Town and Regional Planner at TPS (Pretoria) in 1998. In 1999 he moved to the United Kingdom to pursue a career in Town Planning overseas where he gained significant international experience. He excelled as Town Planner and from 2004 he was contracted by the London Borough of Southwark as Senior Town Planner until December 2006. During his time he acted as expert witness in the Thameslink 2000 public inquiry, specifically on the redevelopment of London Bridge Station, Black Friars Bridge Concourse and the redevelopment of Borough Market, all major heritage sites in Central London. In 2007 his services were acquired by the London Borough of Newham to assist with a variety of residential projects related to the 2010 Olympic games. With the extensive experience he gained overseas he saw the potential of home-based care services in South Africa as well as the shortage in design skills to incorporate home healthcare in the retirement estates being developed across South Africa. In 2007 he and his wife acquired a 50% stake in Elcare Community Services. Since 2007 he gradually expanded the footprint of Elcare Home Health Care Services from Cape Town as far as Bela Bela in the north while consulting on a variety of new retirement estates. Over the years he gained significant experience in the home health care industry. The combination of his background in Town Planning and vast experience in the Home Healthcare industry makes him one of the experts in a field to manage the implementation of home healthcare services as well as the implementation and management of holistic healthcare services in the retirement estate industry. In 2016 Elcare was incorporated in the Medwell SA group. He is a shareholder in Medwell SA and serves as Executive Director. Delene holds a B Commerce degree from the University of Pretoria. She started her career in London UK, where she worked as a consultant for Accenture, Aviva plc, Electronic Data Systems Corp. (EDS), Anglo American and The Law Society of England and Wales. As Project-coordinator she was responsible for the governance of numerous projects/programmes such as the implementation of a new Human Resources Management System for Sainsburys, trading platform for ABN Amro Bank and CRM System for Aviva Plc. She returned to South Africa in 2007 and together with her husband, bought a 50% stake in Elcare. She took on the role of Human Resources Manager taking responsibility of recruitment, selection and appointment of staff, orientation, training, disciplinary actions, payroll, development of policies and procedures and the adherence thereof. Today the HR Department of Medwell South consists of a team of four who are responsible for all HR aspects, including the logistics of permanent and contract employees in the region. Prof Greeff holds a Bachelor’s degree in Medicine and Surgery MBChB (Pret); Postgraduate qualifications in Primary Health Care, FCFP (SA); MPharmMed (Pret); Pharmaceutical Medicine FFPM (Royal Colleges of Physicians (UK)) and an MD (Psychiatry) (KZN). After being involved in clinical research in the Pharma Industry for 13 years, he founded Clindepharm International, the first Contract Research Organisation in South Africa in 1990, which he sold to Quintiles Transnational Corporation in August 1997 and continued his employment at Quintiles. In 2002 he was appointed CEO of Early Development & Laboratory Services worldwide for Quintiles in the USA and in the same year as President: Global Product Development Services (PDS), and was appointed on the Executive Committee of Quintiles. Oppel chaired the Asia-Pacific Management Board of Quintiles TRN from 2005 – 2013 and was Chairman of the Quintiles-Fisher JV, Cenduit, an ITS enterprise in 2007. In August 2008 Prof Greeff was appointed professor and head of the Department of Pharmacology, School of Medicine, Faculty of Health Sciences at the University of Pretoria and relocated back to South Africa. Prof Greeff serves on the board of 13 companies in the healthcare industry in SA, the USA and India. Jonathan Barnes Truyens, joined Medwell SA at the age of 28 as the HR Manager. Prior to Medwell, Jonathan was the Industrial Relationship Manager for a Group of companies who conducted business in the Mining, Retail, Manufacturing and Hospitality Industries and who combined had more than 1800 employees across South Africa. He was also a Liaison Officer for an Employers Organisation where he represented and assisted with all Labour related matters for more than 250 separate companies across South Africa. He holds a B.Comm Honours degree in Labour Relations and a Post Graduate Diploma in Business Management, both obtained from the North West University of Potchefstroom. Sr. Leni Naude acquired her qualification in nursing from Ann Latzky Nursing College. She started her career in the trauma unit of Kempton Park Provincial Hospital. Here she gained extensive experience in trauma, life support skills and ICU, and qualified as a Trauma sister. She joined the South African Blood Transfusion Services as a phlebotomist and later assisted with establishing a new Donor Centre and Laboratory in Sunninghill. This has lead to her appointment as Head of Donor as well as Head of Logistics and afforded her the opportunity to start the first mobile drive initiative, so well-known today. Sr. Leni also worked part-time at the Johannesburg International Airport Clinic to keep up to date with trauma, emergencies and travel vaccinations. She temporarily left the nursing profession and co-founded BC Cutting and Sealing, a construction company acquiring million Rand tenders, steering the company as Managing Director. Returning to her love for nursing, she joined AMI as Practice Manager where she assisted in establishing the Cape Town International Airport Clinic which managed all trauma-related incidents as well as all Primary Health Care and Occupational Health Care. In 2011 she joined Elcare Home Nursing, where she gained further experience in all fields of nursing care. She currently holds the position of Regional Nursing Services Manager for Medwell South. Sr. Amanda Louw acquired her qualification in nursing through Steve Biko Hospital. She joined a life insurance company and worked as a Medical Underwriter. She was later appointed as Senior Medical Underwriter. Between 2003 and 2014 she gained extensive experience as the Unit Manager in the sub-acute facilities, Lynnmed Clinic, Centurion Sub-Acute Facility and Irene Intercare Sub-Acute Facility. She was involved in Case Management, patient disease, staff and ward management. In 2013 she played an integral part to establish the Irene Intercare Sub-Acute Unit as a new business. She has extensive experience in wound care, palliative care and infection control. Bernice Smith is the Chief Financial Officer at MedWell SA, a home nursing company since October 2017. After completing her B.Com Accounting at RAU Johannesburg University in 2003 she completed her B-Compt Honors through UNISA in 2007, followed by her CIMA qualification. She moved up the corporate ladder starting at Certified Master Auditors Inc as an Article Clerk and was later appointed as an Associate. Between 2008 and 2011 she held the position of Management Accountant with Cummins South Africa and Aspen Pharmaceuticals. Between 2011 and 2017 she held the position of Financial Manager at SecureData Africa (Pty) Ltd, HRG Rennies Travel (Pty) Ltd and Atlantis Corporate Travel (Pty) Ltd.
She has extensive knowledge and experience in the finance world pertaining to annual budgets and audits, financial analysis and forecasting, auditing, individual and company TAX, payroll administration, cost centre reporting, customer and supplier relations, knowledge of procedures, adhering to organizational standards and ensuring full compliance. She is proficient in internal audit and business processes. Dr Kruger holds a B. Pharm, M. Pharm and a PhD in Pharmacology and earned academic honorary colours for his PhD; He also completed his master’s degree in philosophy. He has published in 3 International peer reviewed journals as well as 15 non-peer reviewed Journals. He also wrote 30 Columns as President of the Pharmaceutical Society of South Africa in the South African Pharmaceutical Journal and has been awarded Honorary life time membership of the association. Dr Kruger acted as examiner at the PU for CHE and at Pharmacy Council on Pharmacotherapy, as moderator for Pharmacy Council on Pharmacotherapy and acted as examiner for Pharmacy Council for Pharmacist’s assistants. He is a part time lecturer at the Pharmacology department of the Medical Faculty of the University of Pretoria. He presented at the meeting of FIP in Dusseldorf in Germany on Medicine Optimization. Johann was a President of the Community sector of the Pharmaceutical Society of South Africa (2008 – 2009) and President of the PSSA (2012-2015). Johann was the owner of various community pharmacies such as Robert Koch Pharmacy, Momentum Pharmacy and Forum Pharmacy from 1986 to 2013 were he was one of the first pharmacists that obtained a section 22A (15) permit and operated mother and baby-, prenatal-, primary health-, family planning- and slimming clinics in the pharmacy. He is also the owner of Phytopharma – the company that holds the trade mark for Phytobiotic – a product discovered and patented during his studies at the University of Pretoria. Johann is the owner of EDNA Medical Distributors that merged with Medwell SA, were he became a Director since 2017.